Jaz Pitman is putting her life back together. Or at least trying to. But things are difficult when you’ve been turned into a werewolf against your will. She can’t sleep and the only thing that might give her reprieve is the night of the full moon. But even though she’s healing, the patience of the pack in Boise, Idaho is beginning to wear thin and she needs to make a choice about where her future lies. Three months ago, Shane Gutierrez woke up in a hotel room two hours away from home, tied to the bed. Not a bad way to end the night, if only he could remember how he got there in the first place. Fired from his job as a cop, he’s needs to find out why weird things happening to his body and why he’s blacking out. Why are his eyes turning yellow? Neither Shane nor Jaz knows the true depths of the secrets that have lead them to Boise. But from the moment they meet, it’s clear that they’ll need to find out together. A 14,000 word novelette, third in the Werewolf Mates series. Available at Amazon , Barnes & Noble, AllRomance eBooks, Smashwords, and more. Wren Longwood never meant to end up in Boise, Idaho. But a fateful attack one night in Central Park leaves her cursed and wolfish. Now forbidden from returning home by her perfect family, she is determined to make her way on her own as a criminal defense attorney. If only it weren’t for her disturbing attraction to the senior partner’s son. Andy Olson didn’t want to wind up alone. But with his alpha finding a mate, he’s feeling lonely and a little left out. Enter Wren Longwood. She’s beautiful, she’s capable, and his wolf howls for more of her. But as far as Andy can tell, she’s completely uninterested. But when they’re forced to work together on a case, Andy knows that this is his chance to let her see exactly what she could be. A 14,000 word novelette, second in the Werewolf Mates series. 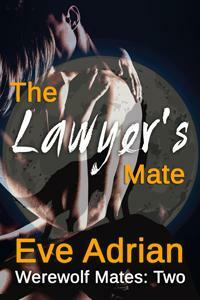 Available at Amazon , Barnes & Noble, Kobo, AllRomance eBooks, iTunes, Smashwords, and more.